Properties in Gisborne average 4.7 out of 5 stars. 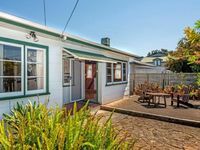 Property 5: Cute cottage close to town - semi rural retreat! 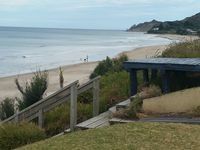 Property 26: Stroll to Wainui beach in 30 seconds. Property 35: Large lawn, fully fenced in the popular Ballance Street village. The property was lovely - very modern, comfortable and clean. It really is a kiwi Bach! Great little bach, in a wonderful location near the beach. Great communication from the owner and made it easy for us when we arrived and left. Good value and would look at it again if returning to Gisborne!